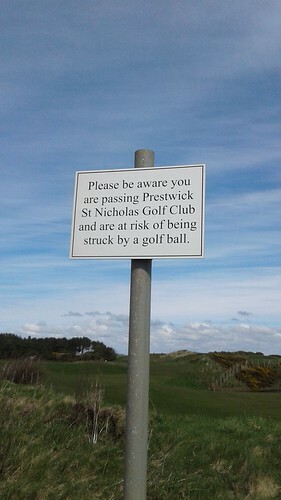 Somewhere between Ayr and Troon. Almost exactly two years after reading Life After Life, I’m reading the sequel, or perhaps not exactly a sequel, but a companion volume. I have complicated feelings about Kate Atkinson and didn’t get on enormously well with her earlier writing, and I know people who are detractors of these books, too, but I find them very effective in terms of … I guess evoking a particular understanding of humanity, and (without wishing to sound insufferably self-important) the nobility in futility. 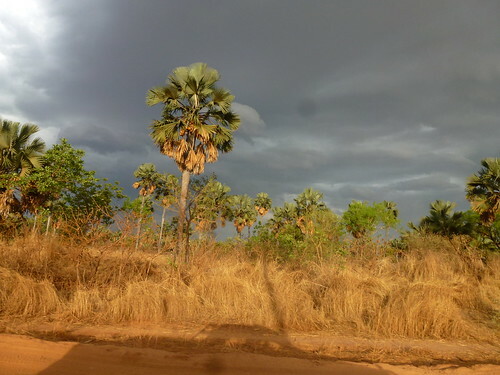 The road between Kuajok and Wau, April 2014, shortly before the heavens opened and I started seriously wondering what happens if you’re in a car that is hit by lightning. I am on my way down from Glasgow to London, on a ridiculously overpriced Virgin train that has the temerity to also charge for wifi. I have gone from overcast Glasgow to the Lake District and Lancashire bathed in glorious sunshine and now back to gloom again, because that’s the midlands for you. (Sorry, midlands.) 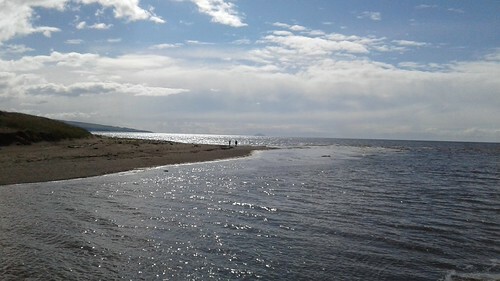 I was in Glasgow for a week and a half – perhaps the longest I’ve been there at a stretch since this time last year, and during that time I went and saw Rusalka at the Theatre Royal (absolutely gorgeous production) and went to Lochwinnoch to see a very pregnant friend and search for otters (sadly did not see any) and did two long walks: from Falkirk to Croy along the Union Canal and the Forth and Clyde Canal (20km, thoroughly enjoyed up until the final 5km, whereupon I had to listen to Cameron Esposito on Spotify to keep my spirits up) and then from Ayr to Troon, just yesterday, along part of the Ayrshire Coastal Path, which was utterly gorgeous. One of the things on my Life List is to properly explore Scotland, which I tend to think of in quite grandiose terms – gotta get to Shetland! St Kilda! Climb Ben Nevis! Etc. – but which can also be immensely satisfying closer to home. 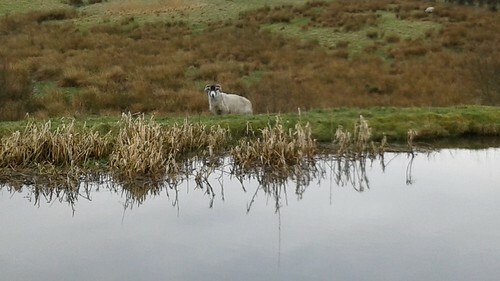 Watchful sheep on the Union Canal. 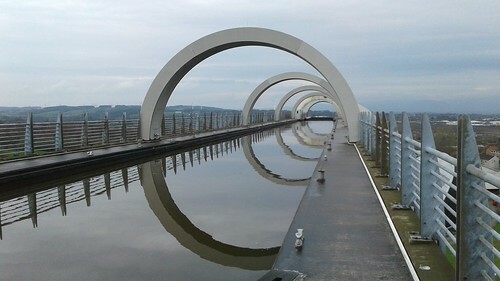 Falkirk Wheel, which allows boats to transfer between the Union Canal and the Forth and Clyde Canal. WTF, engineering. 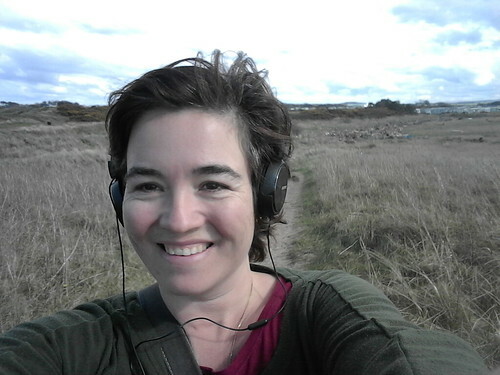 Potential pitfall of West Coast hiking.